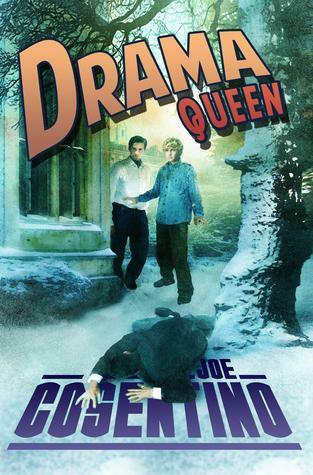 Joe Cosentino is the author of An Infatuation (Dreamspinner Press), Paper Doll the first Jana Lane mystery (Whiskey Creek Press), and The Nutcracker and the Mouse King (Eldridge Plays and Musicals). He has appeared in principal acting roles in film, television, and theatre, opposite stars such as Bruce Willis, Rosie O’Donnell, Nathan Lane, Holland Taylor, and Jason Robards. His one-act plays, Infatuation and Neighbor, were performed in New York City. He wrote The Perils of Pauline educational film (Prentice Hall Publishers). Joe is currently Head of the Department/Professor at a college in upstate New York, and is happily married. His upcoming novels are Drama Muscle the second Nicky and Noah mystery (Lethe Press), A Shooting Star (Dreamspinner Press novella), A Home for the Holidays (Dreamspinner Press holiday novella), and Porcelain Doll the second Jana Lane mystery. Posted in Blog Posts and tagged Joe Cosentino. Bookmark the permalink.